The Araon, South Korea's only icebreaking vessel, has helped evacuate 24 isolated Chinese researchers in the Antarctic region, the country's ocean ministry said Thursday. 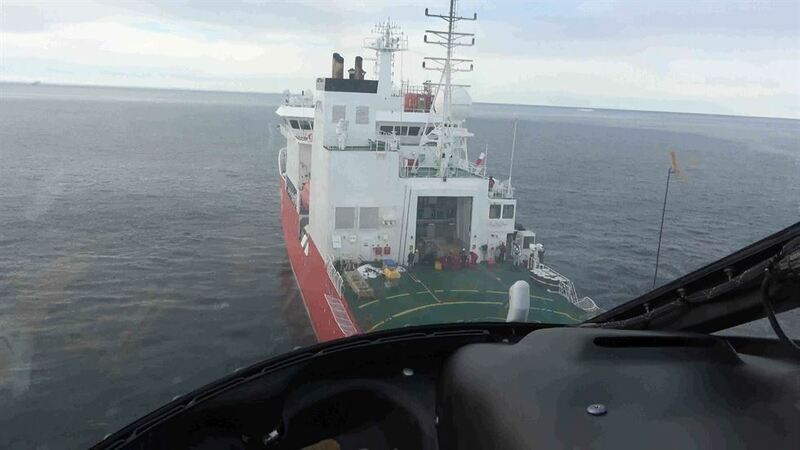 The Ministry of Oceans and Fisheries said the icebreaker gave assistance to researchers on Inexpressible Island near South Korea's Jang Bogo Antarctic Research Station in the southernmost continent a day earlier. While the team originally planned to leave the island on board the Chinese icebreaker Xuelong, the vessel hit an iceberg and had to return to King George Island, stranding the group. The Chinese government requested South Korea's assistance, with the Araon embarking on the mission to Inexpressible Island earlier this week. The South Korean ship was already on a research mission near the island. The ministry said it utilized a helicopter at Jang Bogo Antarctic Research Station to bring the Chinese researchers to the Araon. Commissioned in 2009, the 111-meter-long, 19-meter-wide research vessel weighing 7,487 tons can accommodate scores of crew and researchers and can cut through 1-meter-thick ice. The Araon has been carrying out various rescue missions alongside its research projects, including saving a Russian fishing boat in 2011.